The archaeological park of Ostia Antica is one of the most valuable cultural complexes around the capital: a trip to an ancient Roman city, a tourist destination that claims over 2000 years of history and which attracts thousands of tourists from around the world. 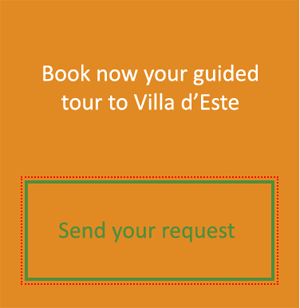 There are four proposals for guided tours in Ostia Antica, each specially designed to guarantee a unique experience for the visitor. All the tours described have a duration of 2 hours for a maximum of 20 people; the cost of every single tour starts from € 150. You can make visits in Italian, English, French, Spanish and Portuguese. You can reach the archaeological site of Ostia Antica easily by car or by the Rome-Lido train leaving from the station next to the Metro B Piramide stop. The train stopped at Scavi di Ostia, just a 5-minute walk from the archaeological site. The Ostia Antica tour brings the visitor back in time. Walking through the streets of the ancient Roman city you will be projected into the daily life of 2000 years ago between porticoes, tenements, domus of the noble lords of the past, public or private baths. And then the necropolis of the ancient city with the funerals monuments, the city walls with the Porta Romana, the theater that probably represents the feather in the cap of the whole excavation area of Ostia Antica. Then going along the main avenue of the width of 9 meters you can see the buildings once inhabited, the latrines, warehouses for goods, bakeries and finally the temples dedicated to the Roman deities: the Capitolium, the temple of Augustus and Rome, Hercules and of Aesculapius. 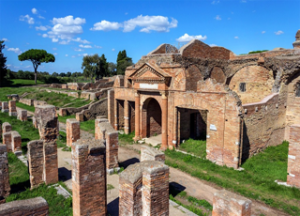 The tour of Ostia Antica will end with a visit to the temples of the deities of oriental cults like those of the god Mitra and the goddess Cybele, of the Synagogue. A journey into the past and an opportunity to get to know the culture of the ancient Romans. Ideal for families. A suggestive variation to enjoy the wonderful panorama offered by Ostia Antica. A tour at sunset when the light shines on the wonderful ruins of these excavations so as to give the visitor an evocative, unforgettable image. Just like Rome also Ostia enjoys a unique light in the late afternoon hours: a dreamlike atmosphere that envelops the entire landscape, giving further warmth and further enhancing the splendour of the Roman ruins. An opportunity also to visit Ostia Antica, especially in the summer months, without the heat of the hottest hours. The sunset tour can then be an opportunity to combine a cultural visit with a subsequent dinner with a walk at one of the many restaurants on the seafront of Ostia. An alternative way to enjoy a tour in Ostia Antica. 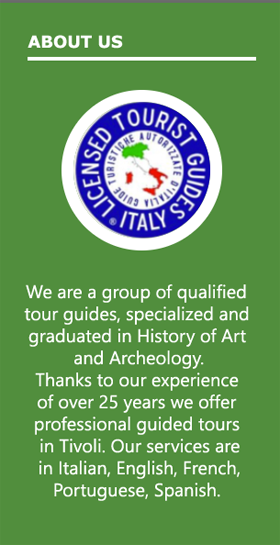 This guided tour also includes a cruise on the Tiber River that allows you to reach the excavations directly with a boat. An evocative journey on the river that the ancient Romans called ‘Biondo’ and a way to deepen the history by living a different experience between history and environment. The same area of the Ostia Antica excavations was in the past used as a port of Rome. The cruise itinerary starts from Ponte Marconi in Rome, easily reachable by Metro, and in about 2 and a half hours arrives at the Port of Ostia. During navigation, explanations will be provided on the itinerary; once at the destination there will be a lunch break at the Scavi’s self-service restaurant, then the guided tour will begin for about 2 hours. The visit to Ostia Antica can be an opportunity to come into contact also with the cults of the past and with the mysteries that in the era of the Ancient Romans concerned this place. A tour dedicated specifically to those who want to deepen the history and know everything that revolves around this wonderful and evocative place. Here were some of the mysteries and religious cults of the Roman Empire as Ostia was a colony useful for sea trades. For these characteristics, Ostia was also a crossroads of ethnic groups, traditions, languages, and religions. A junction used by many travelers to rest a few hours before leaving on the way to Rome. For these reasons, before Christianity became the official religion of the Roman Empire, in Ostia they found shelter some populations of different ethnic groups who practiced their own cults linked to different divinities and religions. Even today there are the remains of temples dedicated to non-Christian deities such as the god Mithras. This guided tour is ideal for getting to know and closely examine these different cults, the places where people gathered to pray their gods. A fascinating vision, alternative to the traditional tour to discover different cults.